Earlier this week was all grass and flowers in the studio. 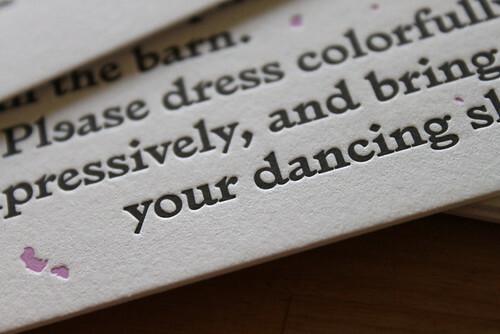 I’ve mentioned many times before that aside from printing wedding invitation styles in the collection, I also regularly print work designed by clients. I love doing this because it gives me some nice variety, and a chance to collaborate on outside projects. 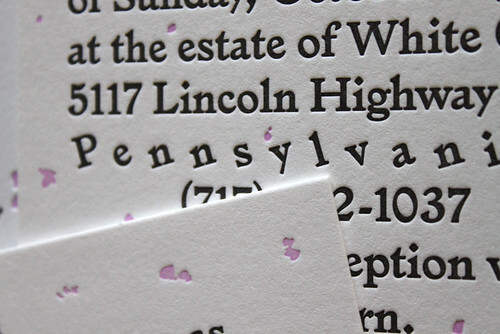 Here is a really great example – an invitation I recently printed for a couple in Brooklyn (she’s an art director and he’s a visual artist / TV editor). 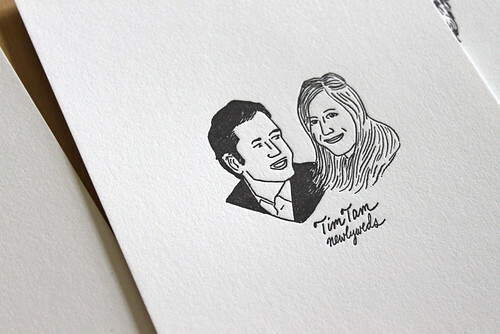 This couple decided to create an art project for their invitations based on their names – Tim and Tami. 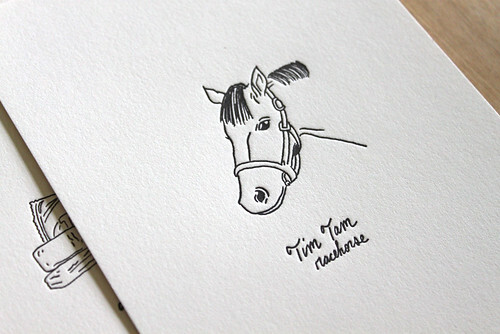 They chose some images from the iconic “Tim Tam” brand and had local illustrator Nathan Gelgud bring them to life. 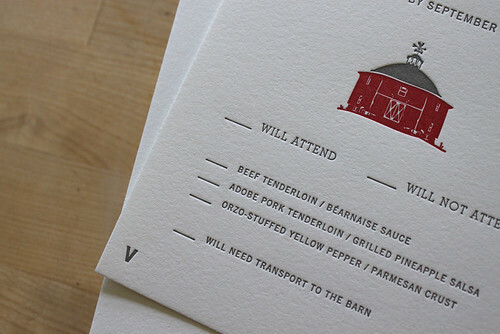 Instead of a traditional wedding invitation, their guests received five small prints in the mail – four illustrations and one card with the hand-lettered details of the wedding. All of the images have a different story and once you start looking them up, you get pulled in. 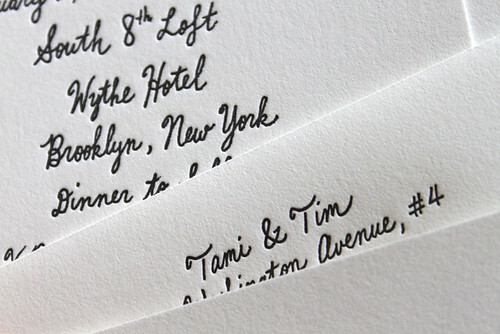 I absolutely love it…well done Tami, Tim and Nathan. You can find a few more photos of the set here. I love New Year because I always enjoy a fresh new start. 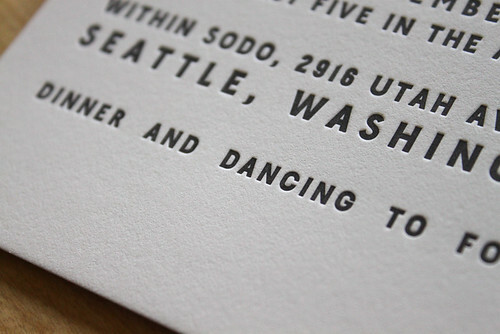 With the ringing in of 2013 I’ll be introducing some new designs to the Wedding Invitation collection. 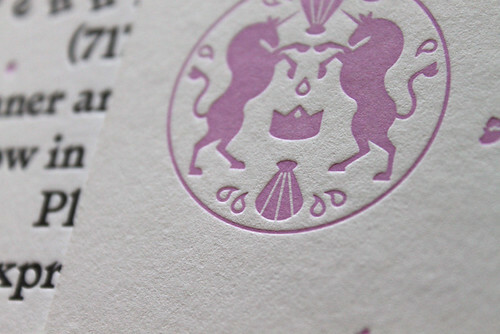 They should be up around January 5th, but you can see some Coming Attractions on my Facebook page. 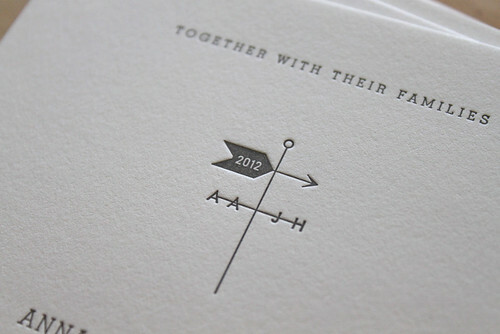 Check out some more shots at the Moontree Facebook page, and see the original Weathervane Style here. 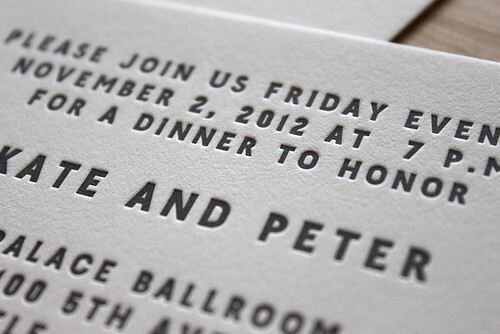 Here is the Marquee Poster style invitation looking so stylish in basic black. 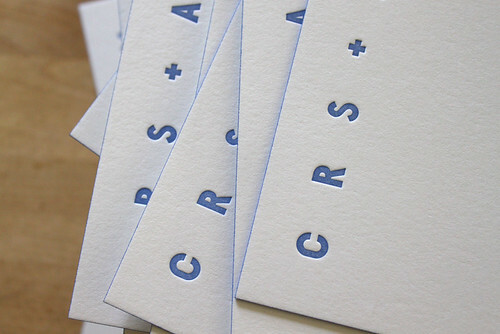 I love this minimal look. 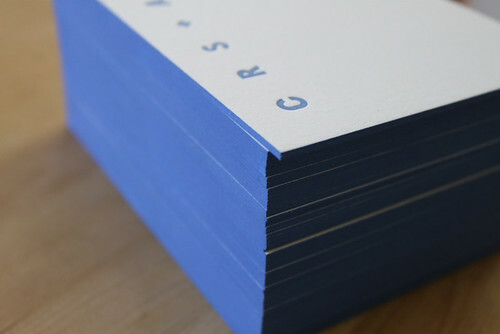 Some nice 2-ply, edge painted notecards this Thursday – designed in the Marquee style, ink and edge color Lake.